The Police College and the Support Wing invited two overseas veterinary experts, Professor Ranald Munro and Dr Paula Boyden, to speak at a sharing session of the Intellectual 40m Series at the Police Headquarters on October 23. About 50 police officers, including members of designated teams for investigating animal cruelty cases, and 10 representatives from the Agriculture, Fisheries and Conservation Department and the Society for the Prevention of Cruelty to Animals (SPCA) of Hong Kong attended the event. Professor Munro is the former Head of Pathology at the Veterinary Laboratories Agency in the United Kingdom as well as the former Chairman of the Scottish SPCA. 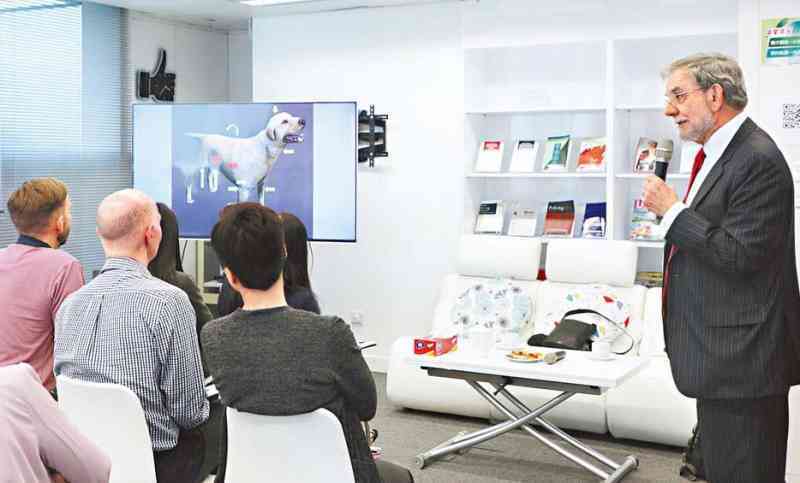 At the sharing session, he talked about the use of forensic veterinary pathology in the investigation of suspected animal abuse cases. Dr Boyden is the Veterinary Director of a dog rehoming and adoption charity in the United Kingdom. She explained to the attendees the link between animal abuse and human violence, and highlighted the importance of inter-agency collaboration in the early identification and prevention of abusive behaviours. The attendees gave positive feedback to their sharing. Meanwhile, representatives of the Support Wing were invited to attend an opening ceremony of an international conference on animal welfare at the City University of Hong Kong on October 25. They spoke about the Animal Watch Scheme at the conference and the Force's efforts in combating animal cruelty.